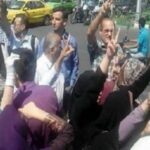 HRANA News Agency – Tens of teachers were arrested, following the silent protest that was held in front of the parliament, and then transferred to security police detention centre, located in Abbas Abad Street. How can we believe the government when there is so much evidence to the contrary?Since the Islamic Republic of Iran came to power, human rights violations began.Mass killings in Kurdistan, the Cultural Revolution, the dismissal of large numbers of students and professors from universities, the oppression of political parties and the imprisonment of their members, barbaric and violent tortures, the mass executions of prisoners, the continuation of a destructive war with large numbers of fatalities and disabled veterans, the dismissal of bright and intelligent individuals from their places of employment, the Chain Killings in Iran and abroad, orchestrated attacks against dormitories and murdering college students, driving the country’s gifted and talented scientists abroad, opening fire on crowds in the streets, attacking gatherings of women, workers, teachers, students and funeral processions in homes and cemeteries and thousands of other human rights violations which can’t be mentioned here one by one.So what must be done? No individual or organized voices of dissent are allowed in Iran.Everyone including those with connections to the regime are killed or imprisoned once they dare to express the smallest amount of dissatisfaction.Religious convictions and laws have been turned into an excuse for the officials to get rich.The current situation has reached such dire proportions that even attorneys don’t feel safe to practice their profession because they are accused of serious crimes, pressured by security forces and imprisoned. Hasn’t the time come to protest widely against these blatant violations of human rights?As mothers to all Iranian children, we, Mothers of Park Laleh, raise our voices against brazen violations of human rights in Iran. Dr. Ahmad Shaheed and human rights organizations across the globe, be aware that human rights violations have reached a record high in Iran. To prove this point, we submit the following data representing only the names and information related to a small number of individuals either imprisoned or killed in the last ten years, excluding those officially executed in prisons or gunned down in the streets during the same period of time.We do so with the hopes that everyone is reminded what our obligations are and how a solution must be reached to end this injustice. Narges Mohammadi was arrested on June 10, 2010 and sentenced to 11 years in prison.She is currently free on bail. Nasrin Sotoudeh was arrested on September 4, 2010, sentenced to 6 years in prison and banned from practicinglaw and leaving the country for 20 years. Mohammad Safezadeh’s current condition is unknown.On April 22, 2011, his family was informed that he was being held in Urmia Central Prison.He has been sentenced to 2 years in prison and banned from practicing law and teaching for 10 years. Mohammad Ali Dadkhah was arrested on June 28, 2009 together with some of his colleagues.He has been sentenced to 9 years in prison and banned from practicing law for 10 years.Additionally, his law business has been closed down. Abdualfatah Soltani was arrested on September 10, 2011 and is currently in a legal state of limbo. Masoud Shafihi was the attorney defending American hikers arrested in Iran.On October 2, 2011, he was detained while he was trying to leave the country.Consequently, his passport was seized, and he has been banned from leaving the country. Alihe Eghdamdoost was arrested on January 29, 2009 and sentenced to 3 years in prison. Zainab Bayazdi was arrested on November 15, 2008 and sentenced to 4 years in prison. Mahbobeh Karami was arrested on May 15, 2011 and sentenced to 3 years in prison. Roonak Safazadehe was arrested on October 9, 2007 and sentenced to 6 years in prison. Faranak Farid was arrested n September 3, 2011 and is currently in a legal state of limbo. Fareshteh Shirazi was arrested on September 3, 2011 in the city of Amol and is currently in a legal state of limbo. Lila Safe Allahei was arrested on February 8, 2010 and was released on bail after 36 days.She has been sentenced to 4 years in prison and has appealed her conviction. Jilla Karamzadeh Makvandi was arrested on February 8, 2010 and was released on bail after 36 days.She has been sentenced to 4 years in prison and has appealed her conviction. Mansoureh Behkish has been summoned and subsequently arrested by the security forces multiple times.The most recent arrest occurred on June 12, 2011.She was released on bail after 28 days and is currently waiting to appear in the 15th branch of the Revolutionary Court on October 10, 2011.Her passport was confiscated on March 17, 2010 while she was trying to leave the country.Since then, she has been banned from leaving Iran. Ali Akbar Mohammad Zadeh was arrested on February 14, 2011 and sentenced to 6 years in prison. Majid Tavakoli was arrested on December 7, 2009 and sentenced to 8 ½ years in prison. Majid Dori was arrested on July 9, 2009 and sentenced to 6 years in prison. Mahdieh Golroo was arrested on December 2, 2009 and sentenced to 2 years in prison. Bahareh Hedayat was arrested on December 31, 2010 and sentenced to 9 ½ years in prison. Shahrokh Zamani was arrested on June 7, 2011 and sentenced to 11 years in prison. Behnam Ebrahim Zadeh was arrested on June 12, 2010 and sentenced to 20 years in prison.He is currently in a legal state of limbo. Rasoul Badaghi was arrested on September 2, 2009 and sentenced to 6 years in prison.He has been banned from participating in any form of social activism for a period of 5 years. 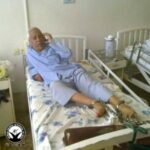 Hashem Khastar was arrested on June 25, 2009.He was transferred to Ward 102 in Vakilabad Prison in the city of Mashhad on May 23, 2011.This ward is where inmates who are on death row are kept.Eventually, he was released on September 10, 2011. Heshmatollah Tabarzadi was arrested on December 28, 2010 and sentenced to 9 years in prison and 74 lashes. Henghameh Shahidi was arrested on February 25, 2011 and sentenced to 6 years in prison.Since May 2011, she has been given furlough to seek medical care. Issa Saharkhiz was arrested on July 3, 2009 and sentenced to 3 years in prison.He has been banned from journalism and other forms of media related activities for a period of 5 years. Saied Matinpour was arrested on July 1, 2009 and sentenced to 8 years in prison. Abolfasel Aabdini-Nasr was arrested on May 3, 2011 and sentenced to 12 years in prison. Keyvan Samimi Behbahani was arrested on June 13, 2009 and sentenced to 6 years in prison.He has been banned from participating in any form of social activism for a period of 15 years. Masoud Bastani was arrested on July 5, 2009 and sentenced to 6 years in prison. Adnan Hassanpour was arrested in November 2006 and sentenced to 10 years in prison. Heva Botimar was arrested in November 2006 and sentenced to 8 years in prison. Arash Saghar was arrested on November 22, 2009 and sentenced to 5 years in prison. Mohammad Sadigh Kabodvand was arrested on August 1, 2007 and sentenced to 10 ½ years in prison. Hossein Ronaghi Maleki was arrested on December 13, 2009 and sentenced to 15 years in prison. Mehdi Mahmoudian was arrested on September 16, 2009 and sentenced to 5 years in prison.He has also been banned from journalism. Hamid Mozani was arrested on September 27, 2011 and is currently in a legal state of limbo. Ali Malehi was arrested on February 9, 2010 and sentenced to 4 years in prison. Shiva Nazar Ahari was arrested on December 20, 2009 and is currently in a legal state of limbo. Koyar Godarzi was arrested on December 20, 2009 for the first time and sentenced to one year in prison.He was again arrested on July 31, 2011 together with his mother, Parvin Mokhtareh.They are both currently in a legal state of limbo. Ali Akrami was arrested on October 5, 2011 and is currently in a legal state of limbo. Mehdi Afsharneek was arrested on October 5, 2011 and is currently in a legal state of limbo. Mohammd Haydari was arrested on October 5, 2011 and is currently in a legal state of limbo. Ayatollah Hossein Kazemeyni Boroujerdi was arrested on October 8, 2006 and sentenced to 10 years in prison.Additionally, all of his property has been seized. Ahmad Zeydabadi was arrested on June 13, 2009 and sentenced to 6 years in prison.He has been exiled to Gonabad for 5 years. Shabnam Madadzadeh was arrested on February 20, 2009 and sentenced to 5 years in prison.She has been exiled to serve her prison term in Rajai-Shahr Prison. Abdoullah Momeni was arrested on June 21, 2009 and sentenced to 4 years and 11 months in prison. Jafar Panahi was arrested on March 2, 2010 and sentenced to 6 years in prison.He has also been banned from making films, writing movie scripts, leaving the country and conducting interviews with any sorts of media inside and outside the country for a period of 20 years.On May 25, 2010, he was released on bail. Hadi Afarideh was arrested on September 17, 2011. Shahnam Bazdar was arrested on September 17, 2011. Naser Safarian was arrested on September 167, 2011. Mohsen Shahnazdar was arrested on September 17, 2011. Mojtabah Mir Tahmasab was arrested on September 17, 2011. Katayon Shahbani was arrested on September 17, 2011. Ramin Parchami is a performer in the cinema and theater. He was arrested on February 14, 2011 and sentenced to 1 year in prison. Pegah Ahangarani is an actress arrested on July 10, 2011.She was released on bail after 17 days. Mahnaz Mohammadi is a documentary film maker and women’s rights activist. She was arrested on June 26, 2011 and released on bail after 1 month. Maryam Majad is a photographer arrested on June 17, 2011 and released on bail after 1 month. Marzihe Vafamehr was arrested in June 2011 and sentenced to 1 year in prison and 90 lashes. Saied Masouri was arrested in December 2000 and sentenced to life in prison. Hamid Haeri was arrested on December 6, 2009 and sentenced to 15 years in prison. Abbas Badfar was arrested in 2009 and sentenced to 10 years in prison. Hamed Rohinejad is a college student arrested on May 4, 2009 and was sentenced to death by the lower court.The Appeals Court reduced his sentence to 10 years in prison.He suffers from asthma and has difficulty seeing and hearing. Maryam Akbari Monfared was arrested on December 31, 2009 and sentenced to 15 years in prison.She has been serving her term in Rajai-Shahr Prison. Farah Vazehan was arrested on December 29, 2009 and sentenced to 17 years in prison. Fatemeh Rahnama was arrested on July 29, 2009 and sentenced to 10 years in prison. Iraj Mohammadi was arrested in 2007 and sentenced to 10 years in prison. Abdoul Reza Ghanbari is Sakina Ashtiani’s husband arrested on January 4, 2010.His current condition is unknown. Mahmoud Badavam was arrested on May 22, 2010 and is currently in a legal state of limbo. Kamran Mortezahie was arrested on May 22, 2010 and is currently in a legal state of limbo. Noshin Khadem was arrested on May 22, 2010 and is currently in a legal state of limbo. Vahid Mahmoudi was arrested on May 22, 2010 and is currently in a legal state of limbo. Farhad Sadeghi was arrested on May 22, 2010 and is currently in a legal state of limbo. Reyaz Sobhani was arrested on June 15, 2011 and is currently in a legal state of limbo. Yosef Nadarkhani was arrested on October 12, 2009 and sentenced to death on charges of apostasy and propaganda for Christianity. Ebrahim Yazdi was arrested for the first time on December 28, 2009 and then for the second time on October 1, 2010.He was released on March 20, 2011. 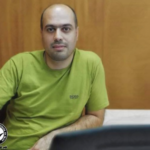 Emad Bahavar was arrested on March 13, 2010 and sentenced to 10 years in prison.He has been banned from any type of media related activities for a period of 10 years. Mohsen Hakimi was arrested on October 5, 2011. Mohammad Malaki was first arrested on July 3, 1981 and spent 5 years in prison.After he was released, he was banned from leaving the country.Since then, he has been arrested a number of times.His last arrest was on August 21, 2009.He was subsequently released on March 1, 2010. Mohsen Mir Damadi was arrested on June 20, 2009 and sentenced to 6 years in prison.He has been banned from all sorts of political and media related activities for a period of 10 years. Mostafa Tajzadeh was arrested on June 13, 2009 and sentenced to 6 years in prison.He has been banned from political activities for a period of 10 years. Zahrah Rahnavard has been on house arrest since February 2011. Mir Hussein Mousavi has been on house arrest since February 2011. Mehdi Karroubi has been on house arrest since February 2011. Reports of rapes in prisons of Iran are not isolated phenomena occurring only recently.In the years immediately following the Revolution, virgin girls under the age of eighteen were first raped before being executed in order to deny them entry into the heaven.After the presidential election in 2009, a number of inmates also alleged to have been raped in prisons of Iran.Witnesses are available and may be interviewed.However, we will not mention their names here. Behroz Javid Tehrani was arrested for the first time on July 9, 1999 and released in March 2004.He was arrested again on May 25, 2005 and sentenced to 4 years in prison and 74 lashes.He was flogged on November 10, 2010. Samihe Tohidlo is a sociology PhD student arrested on June 14, 2009 and sentenced to one year in prison and 50 lashes.She then received clemency and was released on bail after 70 days.She was flogged in shackles on September 14, 2009 in Evin Prison. Payman Aref is a student activist and journalist arrested on February 10, 2011.He was sentenced to one year in prison and 74 lashes and banned for life from journalism.He was released on October 9, 2011 after being flogged. Zahra Kazemi was an Iranian-Canadian freelance photographer arrested on June 23, 2003 in front of Evin Prison.She was killed on July 16, 2003. Zahra Bani Yaghoub was a physician arrested in a park on October 12, 2007 and taken to a detention center in the city of Hamadan.After 48 hours, her family was notified of her death. Amir Javadifar was arrested after 2009 presidential elections and killed while locked up in Kahrizak Prison. Mohammad Kamrani was arrested after 2009 presidential elections and killed while locked up in Kahrizak Prison. Mohsen Rohollahmeni was arrested after 2009 presidential elections and killed while locked up in Kahrizak Prison. Ramin Aghazadeh Ghahramani was arrested after 2009 presidential elections and killed while locked up in Kahrizak Prison. Halleh Sohabi was a religious activist arrested in 2009 and sentenced to 2 years in prison.She was on furlough to attend her father’s funeral when she was killed on June 1, 2011. Alburz Ghasemi was a member of Iran’s armed forces serving in the navy. He died on December 22, 2010 after being denied medical care and furlough when he was in critical condition. Akbar Mohammadi was a political activist. He died in prison on July 30, 2006, and his body was transferred to the medical examiner’s office.Sohrab Solamani, the Chief Warden of prisons in Tehran Province, announced Akbar Mohammadi’s death on July 31, 2006 and claimed that he was on hunger strike. Valiollah Feyz Mahdavi was arrested in October 2001. Evin Prison officials announced his death on September 6, 2006 and claimed that this prisoner hanged himself in his cell and died after he was transferred to the prison’s medical clinic. Ebrahim Lotfollahi was a student activist arrested in Sanandaj on January 6, 2008.Nine days later, the authorities informed his family that he had committed suicide while he was locked up in the Intelligence Agency’s detention center in the city of Sanandaj.The family was also told that his body had already been buried in Sanandaj’s cemetery. Amir Hussein Heshmatsaron was arrested in 2004 and sentenced to 16 years in prison with 8 years suspended.He was the founder of a political party called National United Front of Iran.After 4 years, he died suspiciously in Gohardasht Prison on March 6, 2009. Amir Reza Mir Siafi was a blogger arrested for the first time on April 22, 2008 for insulating the Supreme Leader of Iran in his blog titled “the Reporter.”After 41 days, he was released on bail approximately equivalent to $9,500.In October 2008, the 25th branch of the Revolutionary Court sentenced him to 2 ½ years in prison.On March 18, 2009, Iranian government officials announced his death while he was behind bars in Evin Prison. Mohsen Doghmechi was arrested on Monday, September 7, 2009 and locked up in Ward 209 in Evin Prison.On March 28, 2011, prison officials announced his death.He was 53 years old. Hassan Nahid was a telecommunications engineer arrested in 2004 for revealing classified documents.He was sentenced to 3 years in prison and fined approximately $87,000.In March 2011, Evin prison officials announced his death while he was locked up in Ward 350. 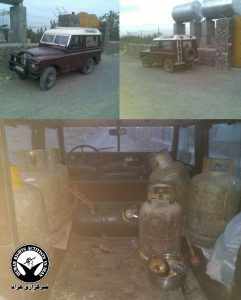 Abdulreza Rajabi was a political activist arrested in 2001 and charged with membership in the People’s Mujahedin of Iran (PMOI).During his arrest, he was injured by a grenade fragment.Initially, he was sentenced to death, but then this verdict was reduced to life in prison.He spent his prison term in Diesel Abad Prison in Kermansha and also wards 350 and 8 in Evin.On October 28, 2008, after he was transferred from Evin to Gohardasht Prison, his death was announced on the same night. Kaveh Azizpour was a Kurdish political activist arrested in 2006 in the city of Mahabad.He was sentenced to 3 years in prison on charges of helping the opposition groups.In April 2008, he was transferred to the Urmia Hospital and spent 20 days in coma after which he died on May 16, 2008. Hasem Ramzani was a Kurdish citizen arrested in December 2008 in Urmia.After four days, his family was informed that he had committed suicide, and his body could be picked up from the Intelligence Agency’s office in Urmia. Mohammad Rajabisani was arrested on September 29, 2004 after a fight with two other individuals and locked up in Ghezel Hesar Prison.After a few days, he was transferred to a hospital in Rajai-Shahr and subsequently suffered brain death. Hadi Reza Zadhe Saber was a religious activist, journalist and translator arrested in 2000.He was sentenced to 5 ½ years in prison and banned from any form of social activism for 10 years.To protest Haleh Sohabi’s suspicious death, he went on hunger strike and died on June 11, 2011 in Modares Hospital. Behnam Ganji was arrested on July 31, 2011 and subsequently released on August 8, 2011.He committed suicide at midnight on Thursday, September 1, 2011. Nahal Sohabi committed suicide on Thursday, September 29, 2011 following Behnam Ganji’s death. 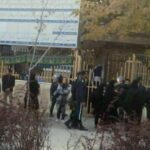 On September 24, 2011, frightened by security forces raiding a gathering in the city of Mashhad, a young girl, while trying to escape, fell from the balcony of an apartment building on the sixth floor and died. Zeinab Jallalian is a Kurdish activist arrested in 2007. Habibollah Golparipour is a Kurdish activist arrested on April 2, 2010. Anvar Rostami is Kurdish activist arrested in December 2008. Habibollah Latifi is a Kurdish activist arrested on October 23, 2007. Rashid Akhandi is a Kurdish activist arrested in April 2008. Shirko Maarefi is a Kurdish activist arrested on September 30, 2008. Mostafa Salimi is a Kurdish activist arrested in 2003. Sayed Jamal Mohammadi is a Kurdish activist arrested in 2008. Sayed Sami Husseini is a Kurdish activist arrested on June 4, 2008. Aziz Mohammadzadeh is in a legal state of limbo. Abdoullah Sarvarian is in a legal state of limbo. Zanyar Moradi is in a legal state of limbo. Loghman Moradi is in a legal state of limbo. Javad Lari is a political activist arrested on June 15, 2009. Hassan Talehi is a Kurdish activist arrested in 2008. 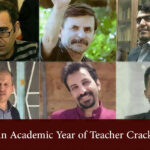 Mohsen Daneshpour Moghadam is Motahereh Bahrami Haghighi’s husband.He was arrested on December 27, 2010. Ahmad Daneshpour Moghadam is the son of Mohsen Moghadam and Motahereh Haghighi.He was arrested on December 27, 2010. Saleh Soltanzadeh is a political activist arrested in 2006. Hussein Forheideh is a Kurdish activist.The date of his arrest is unknown. Hamid Ghasemi’s date of arrest is unknown. Mehdi Ghiasi is a physician and political activist whose date of arrest is unknown. Yoness Aghayan Mirza is a member of a religious minority commonly known as Ahl-e Haqq.He was arrested in 2004. Mohammad Amin Abdoullahi is a Kurdish activist arrested in 2005. Yosef Nadarkhani is a Christian priest arrested on October 12, 2009. Iran holds the third highest inflation rate in the world. We are witnessing reports of more embezzlement by government officials every day. Iran holds the first rank amongst the countries of the world in the number of citizens and underage prisoners executed. The number of reported divorces, child abuse, spousal abuse, poverty, prostitution and unemployment has reached an all-time record high. Our natural resources, national treasures and environment such as Lake Urmia, Zayandeh Rood, forests and archaeological sites are being destroyed. We are neither allowed to be happy nor mourn a loss.Citizens are being arrested because of engaging in water sports or a variety of other group activities.Funeral processions and anniversaries in Tehran’s Behesht-Zahra and Khavaran cemeteries are being attacked by security and intelligence agents monitoring these locations around the clock.Furthermore, families of the fallen are harmed and harassed regularly. The number of citizens dying of self-immolation and other forms of suicide, murder, accidents and diseases has reached an all-time record high.Our air, water and food are polluted. It is as if hatred towards human beings is a guiding principle empowering the current regime.During the last 33 years, thousands of Iranian men and women have been executed, killed in the streets, slaughtered in the Iran-Iraq war or murdered in a variety of other ways.Several thousands of individuals suffer from irreparable psychological and mental problems.A large number of gifted and talented young adults have been forced to choose leaving the country while many others are addicted to narcotics. Iranians have no safety whatsoever, and their lives and livelihoods have been threatened now and in the past.In a country where citizens must wait in long lines for months in order to apply for small loans while billions of dollars are embezzled, no one is held responsible to answer why. The officials in the Islamic Republic of Iran claim that holocaust is a myth.We ask whether the killings during the last 33 years have also been a myth.It is possible to claim that these murders have not been less than a holocaust.People in Iran and around the world have reached the conclusion that the time to be patient and tolerant has long ended, and they must stand up against oppression and injustice.Indeed they are standing up proudly; so we wish them success. We demand the abolition of capital punishment and the killings of human beings in any way, shape or form. We demand the immediate released of all political prisoners and prisoners of conscience without any conditions or exceptions. We demand public and just prosecution and punishment of those responsible for crimes committed by the Islamic Republic of Iran since its inception.